Ireland is famous for its hospitality and good quality horses. Put these two together and you will enjoy your riding holiday in this charming location. Our holiday packages include top quality accommodation, fine dining and a choice of instruction, cross country or hacking out in the beautiful Irish countryside. For accompanying non-riders, there’s a wide choice of activities, including walks, golf, fishing, tennis and cycling. Castle Leslie is located in Glaslough, County Monaghan, and considered to be one of the few remaining Irish estates still owned and run by its founding family. The family’s involvement extends to all aspects of the hotel, creating a personal, relaxed and very welcoming atmosphere. 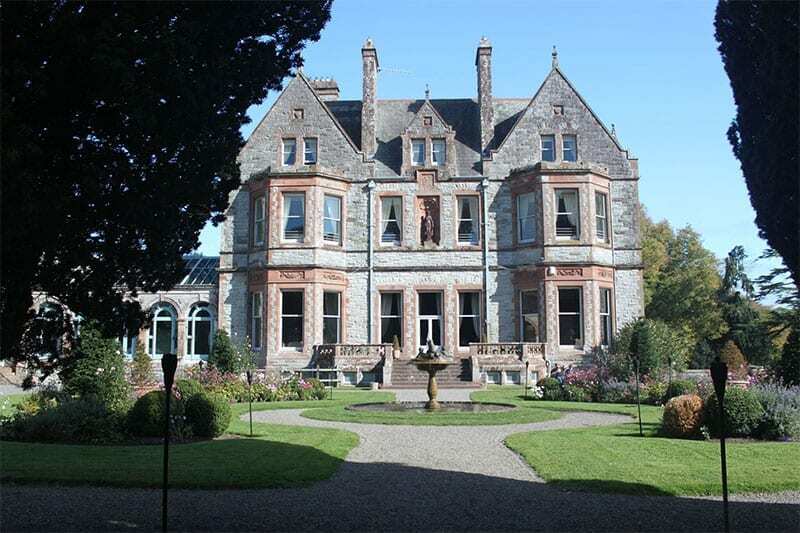 Castle Leslie is just 80 minutes from Dublin and 60 minutes from Belfast. Following extensive restoration over the past decade, the estate has been transformed to its original glory. Nestled on 1,000 acres of undulated Irish countryside, surrounded by ancient woodlands and glittering lakes, with 20 miles of bridleways and 300 jumps, it’s a delight for the most experienced horse riders, with a huge indoor arena and all weather gallops to try out as well. All levels of riders are accepted. Your riding program will be tailored to your riding experience and your personal requests, which can include instruction, hacking out over the estate, show jumping and cross country jumping. The riding centre also has an indoor arena. The riding program includes 3 hours of riding per day. It is compulsory to wear a helmet at all times while horse riding, and you are also required to wear a body protector when show jumping or cross country jumping. We recommend you take your own properly fitted helmet and body protector on your horse riding holiday. The regular riding program includes 3 hours of riding per night’s stay. Subject to availability, additional hours can be added and paid for locally. Your personal riding itinerary will be designed to suit your riding experience and what you would like to achieve while staying at Castle Leslie. You may choose from a combination of instruction, show jumping, cross country and estate rides. Alternatively, if you would prefer to spend your time riding out over the estate, without any lessons, this is also possible. However, all riders are required to undertake an assessment lesson for their first hour. Beginner and novice riders are welcome. When you book your holiday, your riding itinerary will be outlined on what you wish to do. Should you wish to make changes, you should do this as early as possible. Later changes can be made to your riding program while at Castle Leslie, but flexibility may be limited at very busy times. Please contact us for further information and details at info@snaffletravel.com.au. The accommodation is normally in the lodge, but on occasions may be in the castle. The lodge is situated adjacent to the equestrian centre; perfect for those who wish to explore the countryside and parkland on horseback. It tends to the social hub of the estate, and brings locals and guests together to enjoy the restaurant and bar. The 29 rooms and stable courtyard have been lovingly restored, and reflect many period features and original character. The castle is at the heart of the estate, and offers authentic original interiors and old style hospitality. Please note, the rooms in the castle are all very different and each has its own unique story. The castle is not a typical hotel experience. There are no televisions, radios, wifi or minibars in the castle bedrooms. Note: The prices are in based on the euro and we can provide an AUD dollar conversion for you based on the days ANZ bank sell rate. Note: Dates are subject to availability at time of booking. Further dates and shorter programs are available. 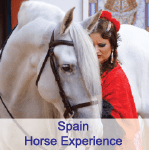 *The price includes all accommodation, 3-hours riding per day, breakfast and dinner. Note : This itinerary can be tailormade to suit with less or extra nights Please contact us with your requirements. Castle Leslie is located in Glaslough, County Monaghan, in the north of the Republic of Ireland, close to the border with Northern Ireland. Travelling time is approximately 80 minutes from Dublin and 60 minutes from Belfast by car. We can help you plan the best way to get to Castle Leslie for the start of your horse riding holiday.